More dynamic and thrilling than ever before, the all-new 2019 Toyota Corolla is now completely redesigned for the 2019 model year, and it’s available now at your local Toyota dealership in Tampa Bay! The all-new 2019 Corolla debuts an all-new engine and more trims to deliver more fun in the Florida sun. Get to your local Toyota car dealership in Tampa today and experience everything the all-new Toyota Corolla has to offer! Toyota of Tampa Bay proudly serves drivers near Brandon, Wesley Chapel and the surrounding areas of Tampa Bay. The all-new 2019 Toyota Corolla sedan comes in more trims than ever before! All models come standard only with a CVT option, except for the SE model, which offers an additional 6-speed manual transmission. The SE and XSE trims deliver up to 35 MPG highway, thanks to the 2019 Corolla’s standard 132-horsepower 1.8L 4-cylinder engine. The L, LE and XLE Toyota Corolla models also come standard with the same engine, but give a slightly better output for fuel efficiency at an EPA-estimated 28 MPG city and 36 MPG highway. Choose the LE Eco trim and get even more power, up to 140 horsepower, with more fuel efficiency at EPA-estimated 30 MPG city and 40 MPG highway. Not sure which combination of power and fuel efficiency is right for you? Then come to your preferred Toyota dealership in Tampa and test-drive them all. 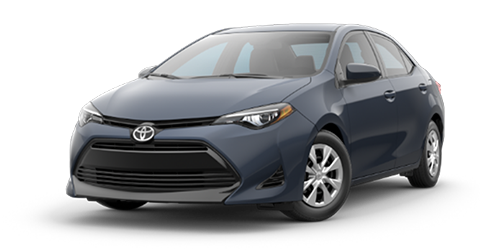 We have the complete lineup of 2019 Toyota Corolla models for you to choose from all at our best price every day. Stop by and see why more drivers from Brandon, Wesley Chapel and the surrounding areas in Florida are choosing Toyota of Tampa Bay for all of their automotive needs. The all-new 2019 Corolla comes standard with more options inside and out! Starting with your choice of versatile new paint color choices, Tampa drivers can now express their style in a fun new way. Choose from the new-for-2019 color Rival Blue, Blizzard Pearl, Silver Metallic, Midnight Black, Galactic Aqua Mica, Scarlet or Oxide Bronze to perfectly highlight the new standard Bi-LED headlights! You’ll also enjoy great standard features inside! Get behind the wheel and notice a premium new interior featuring Wi-Fi Connect, Entune 3.0 Audio with an 8-inch touchscreen, Amazon Alexa integration, Apple CarPlay™ and so much more! Drive with the added peace of mind of knowing that your all-new 2019 Toyota Corolla comes standard not one but 2 standard safety suites! The all-new 2019 Corolla comes standard with Toyota Safety Sense™ P (TTS-P) Pre-Collision System with Pedestrian Detection, Lane Departure Alert with Steering Assist, Automatic High Beams, Dynamic Radar Cruise Control, 8 standard airbags, 2.0 Road Sign Assist and Lane Tracing Assist! There’s also Toyota’s Star Safety System, which offers another full suite of safety features to help keep you safe. With all of this extra safety tech, and with its predecessor recently earning a Top Safety Pick+ designation from the IIHS, the new 2019 model surely on track to do the same. 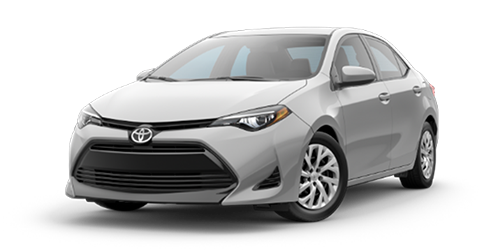 Every new 2019 Toyota Corolla you buy from Toyota of Tampa Bay comes backed by ToyotaCare 2-year no cost maintenance with roadside assistance! Test Drive Your New 2019 Toyota Corolla Today! No matter which trim you choose on your new 2019 Toyota Corolla, find it for less today at your local Toyota dealership in Tampa, Toyota of Tampa Bay!